Banksia Beach is a suburb on Bribie Island. 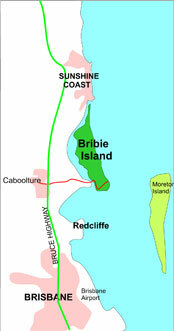 Bribie Island is a large sand island located in the northern part of Moreton Bay and connected to the mainland by a bridge. Because of it's close proximity to Brisbane, it's a popular place for a day trip. You can swim at a beach, go fishing, boating or ride a bike across the island, all without battling crowds. 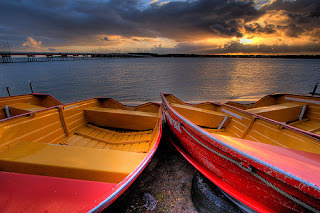 Bribie Island is a hidden gem, without the crowds of the Sunshine and Gold Coasts. 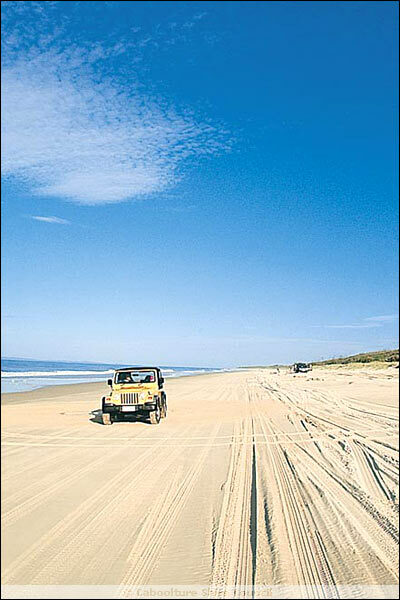 Bribie Island is approximately 65km (one hours drive) north of Brisbane on the way to the Sunshine Coast. November - March (summer) average temperatures: 20°C - 30°C. Spring/Autumn average temperatures: 17°C - 26°C. June - September (winter) average temperatures: 10°C - 20°C. Bribie has an average annual rainfall of 1320mm. As at 2006, there were 16209 residents, 50.3% of which were 55 years or older. Bribie Island has been, and still is considered an ideal retirement destination.